The Jasper Engineered Hardwood Handscraped Birch Collection will update the look and feel of your home. 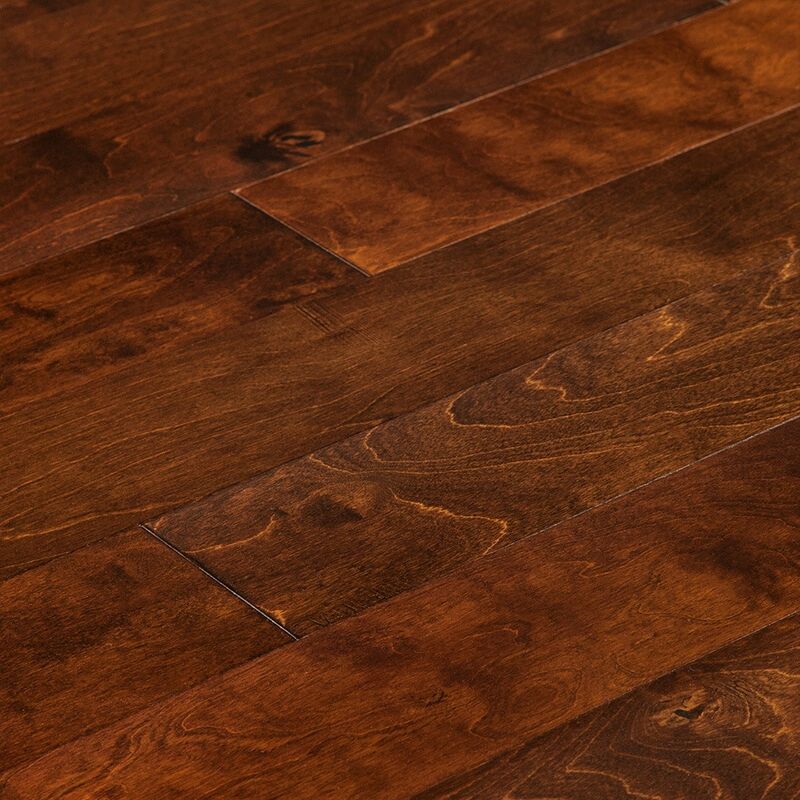 Designed with a natural rustic appearance, this real wood flooring provides lasting character and beauty to your home. Offering the traditional appearance of hardwood with the superior durability of engineered flooring, these planks are an innovative and functional choice for your space. If you are looking to save money on premium flooring without sacrificing quality, BuildDirect has you covered. Learn more about this wood flooring below. Natural birch flooring: this wood offers typically straight and even grain patterns that run throughout most of the board, with some slight waves that provide visual interest. 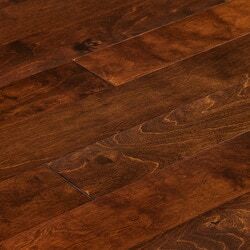 The rich brown stain further enhances the wood’s beautiful grain patterns. Core strength: for lasting stability and durability, these engineered planks are constructed with a 9 ply birch core. Stable and versatile flooring option: suitable for both above and below grade installations, this engineered hardwood flooring allows you to achieve the look of real hardwood in spaces where solid hardwood is not recommended, even basements. Straightforward installations: expertly crafted with a tongue and groove profile, this engineered hardwood flooring can be installed using a glue, float, nail, or staple down method, the choice is yours. Finishing touch: for lasting protection and enhanced scratch resistance, these quality floorboards are finished with Aluminum Oxide. Radiant heat compatible: this engineered flooring can be installed over radiant heating systems, helping you create a warm and welcoming space. Purchase with confidence: Jasper backs this flooring with a 25-year structural and 25-year finish warranty. Plank dimensions: these boards offer a 2mm wear layer and measure 0.5” Thick x 5” Width x Random Lengths (average length 33.10”). Engineered Hardwood - Purinto Birch - Walnut Purinto / Birch / 4 1/2"
exactly what I expected with color and quality based on the description and pictures available on the web site. Build Direct associate that handled my order was extremely knowledgeable, very helpful and went out of his way to make sure the product I needed matched the product I purchased a couple of years before that had since been discontinued. Product he sourced out was a perfect match ! The product didn't arrive on time due to a shipping issue. But, Build Direct did offer a full refund in shipping cost. Cody Smith kept in constant contact. Please see him for any flooring needs! I have purchased multiple times from them, and will continue due to the customer service they provide. 5 stars!